← Going to Portland, Maine? I can’t help it. 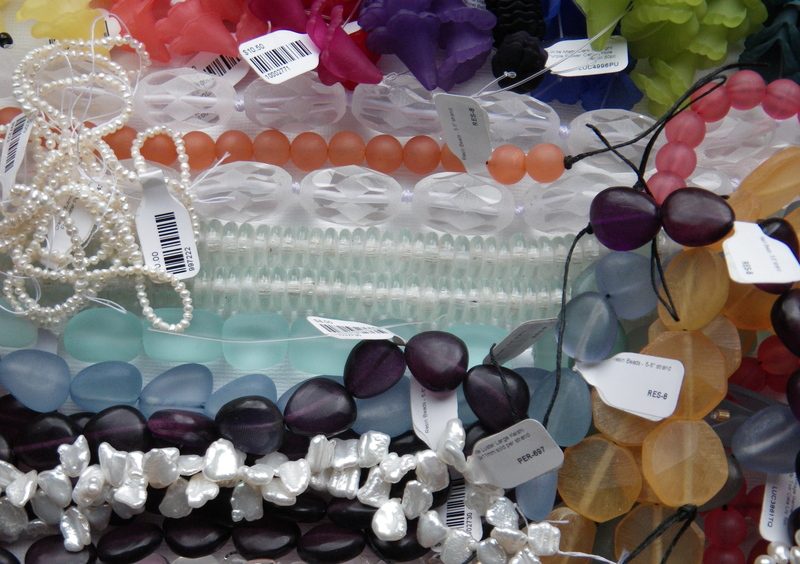 Island living is fine for buying jewelry supplies from a catalog, but when I actually get out of town I try to go through Freeport, because it’s a blast to spend some time at the Beadin’ Path. I usually have about a half hour to spare and my mind goes into design overdrive as I try to imagine what I will need to buy for future projects. Their inventory is colorful and diverse, and I feel so much more creative in that moment of spending! It makes the rest of the drive, back to wherever, go very quickly. This time there were some resin beads that I had not seen before. I’ve already started a necklace of the orangey flat resin beads, the triangular shaped bluish beads and the deep rose round beads, mixed with some pearls. 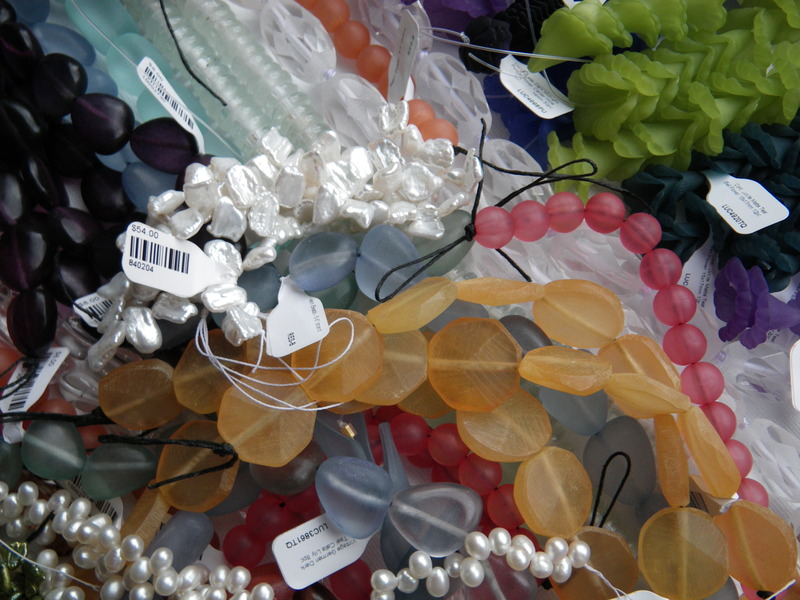 I think a double strand, knotted, would make a striking necklace to wear with a white shirt and jeans. oooooooo! you bought all of those? lucky you! they’re beautiful! have a great time this weekend! Yup. Now I better get to work. Though its “tax day” tomorrow . Bruce and I are gathering the household info and my business info to send to the tax man. Last week it was going through the lobster corporations stuff and that took the longest. Thanks for the good wishes! It will be a fun trip. (And I can’t wait to get home and really get down to work) Best of both worlds.